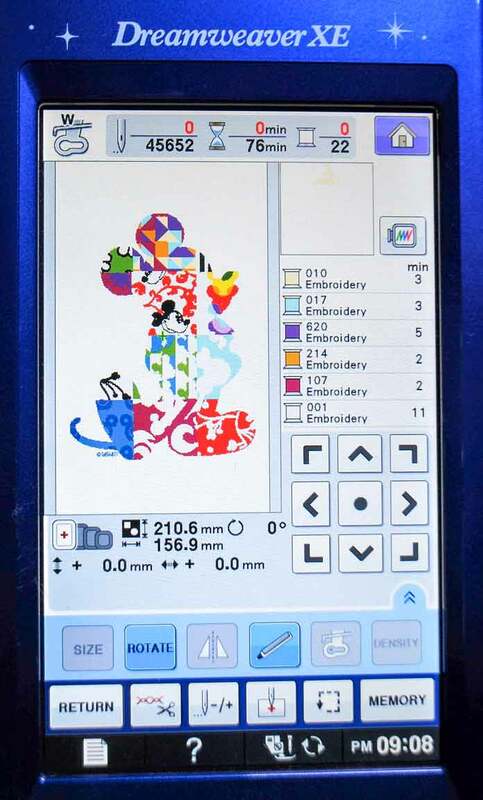 Home » Brother » Brother DreamWeaver XE VM6200D » How can you choose just one amazing Disney embroidery design? 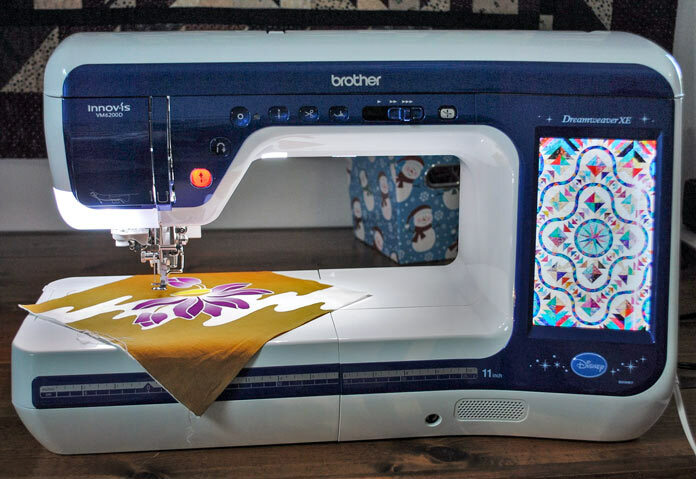 So this week on QUILTsocial I’m using the Brother Dreamweaver XE to embroider an amazing Disney design on a drawstring gift bag that could be used for any special occasion! 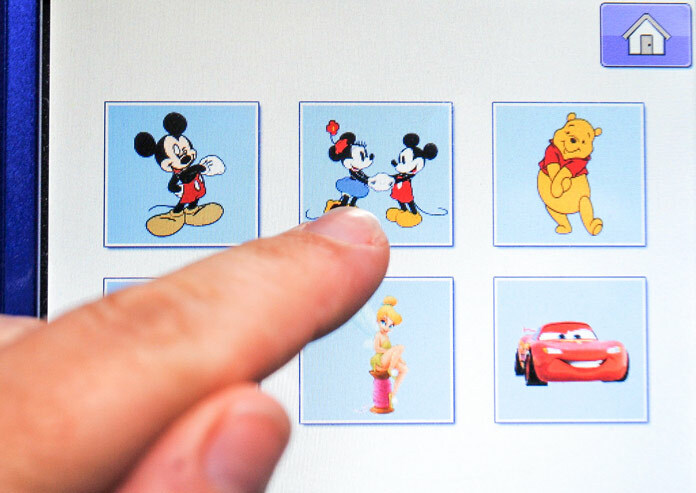 To embellish my gift bag, I want to use one of the many Disney embroidery designs that come pre-loaded on the Dreamweaver XE, so when the home screen comes up, I’ll select ‘Disney’. 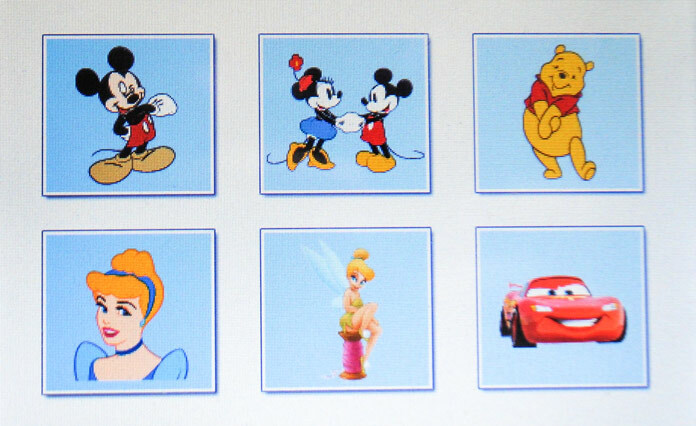 There are 6 subgroups of embroidery designs in the Disney grouping. They range from Mickey and Minnie to Winnie the Pooh, the Disney Princesses and the characters from Cars. I’ve found a design that I like in the second grouping of embroidery designs – the one with Mickey and Minnie on the button. I’ve been eyeing up this ‘patchwork’ Mickey design for a long time and I think today is the day that I’m finally going to use it! Once the design is selected, the required hoop size and thread colors are shown on the screen. Below the hoop image is the actual size of the design. 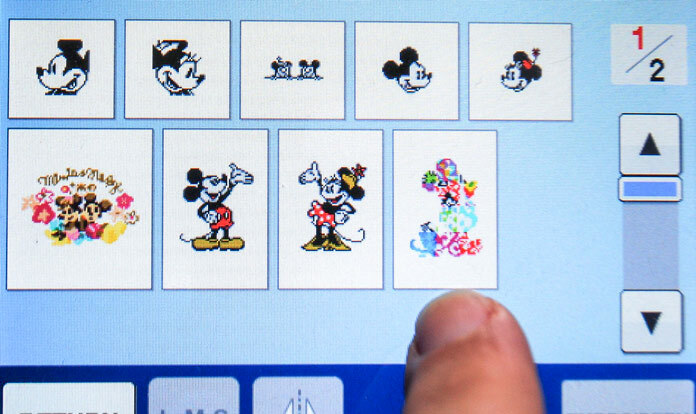 This Mickey Mouse design will measure 210.6mm x 156.9mm – which is approximately 8¼” x 6″. 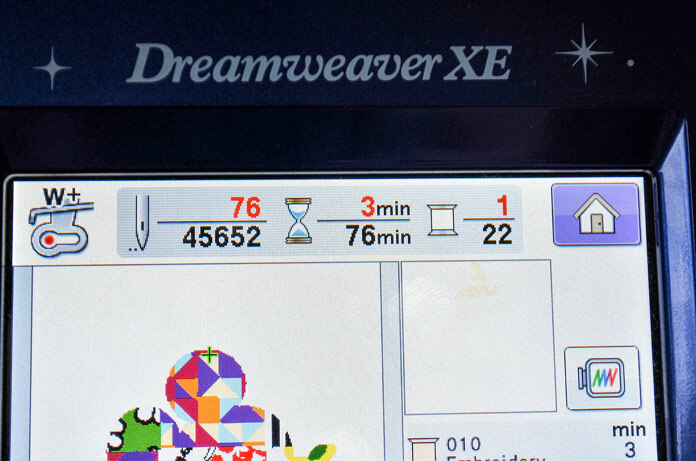 When you press the EMBROIDERY button on the Dreamweaver XE, the embroidery screen pops up. 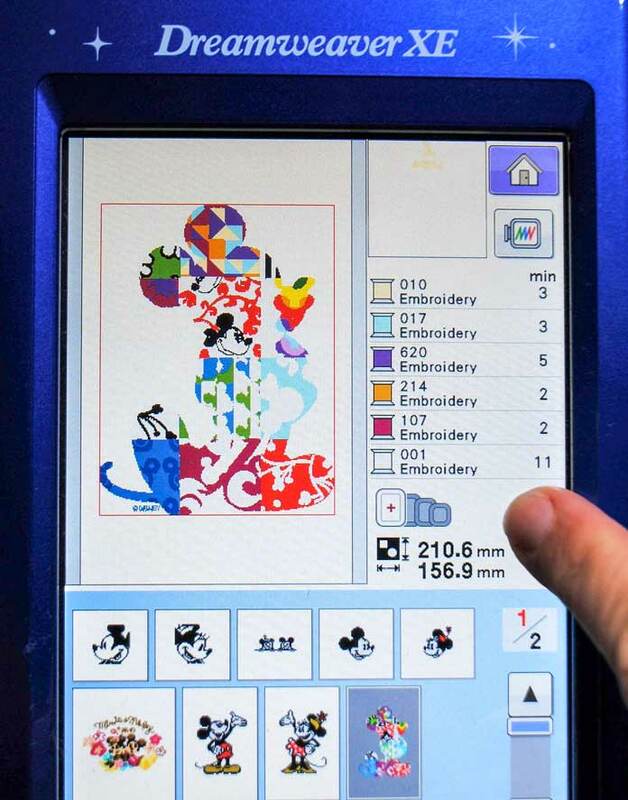 Along the top of the embroidery screen, you can see the foot required (the W+ embroidery foot), the total number of stitches in the design, the length of time it will take the machine to stitch it and the number of thread changes required. 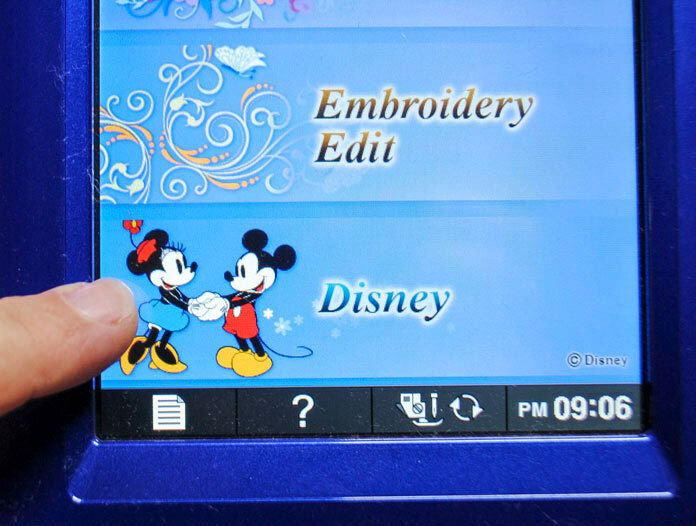 Here is the Mickey design, shown on the LCD screen of the Brother Dreamweaver XE. There are so many designs to choose from that it’s hard to pick just one, but I’ve loved this one from the moment I saw it! Now that I’ve set the design onto the embroidery screen, I’m ready to get stitching. Tomorrow I’ll get the Dreamweaver XE to start working on it – I can’t wait to see what this finished gift bag will look like! 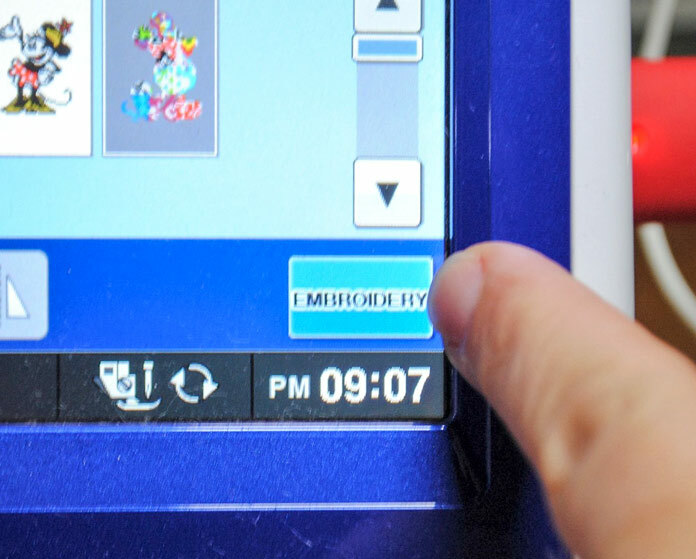 Go to part 2: 8 features on the Dreamweaver XE that make machine embroidery a breeze!